Think Big, Start Small in Self Funding Waves. 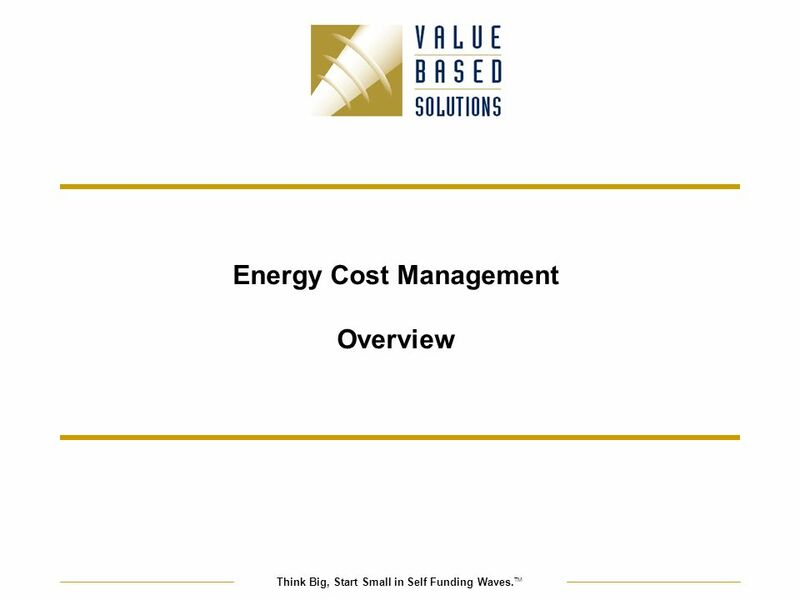 TM Energy Cost Management Overview. 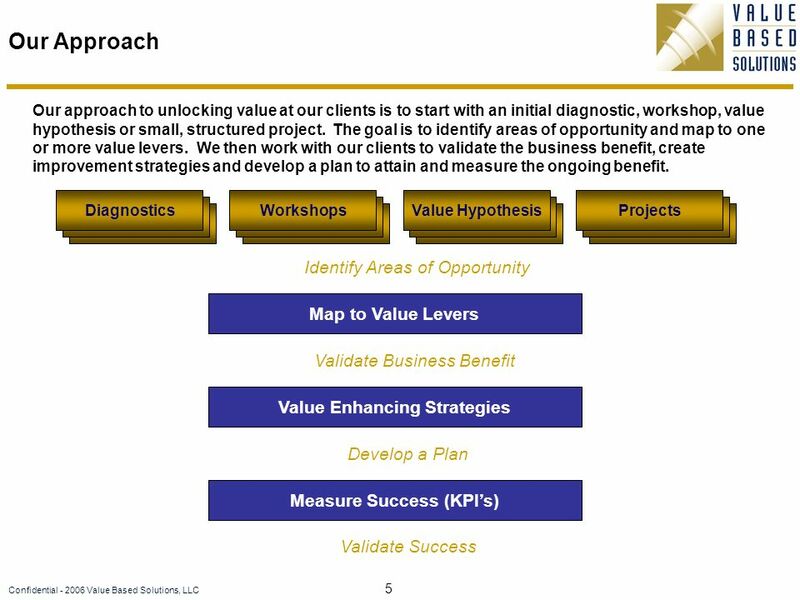 5 5 Confidential - 2006 Value Based Solutions, LLC Our Approach DiagnosticsWorkshopsValue HypothesisProjects j Map to Value Levers Identify Areas of Opportunity j Measure Success (KPIs) j Value Enhancing Strategies Validate Business Benefit Develop a Plan Validate Success Our approach to unlocking value at our clients is to start with an initial diagnostic, workshop, value hypothesis or small, structured project. 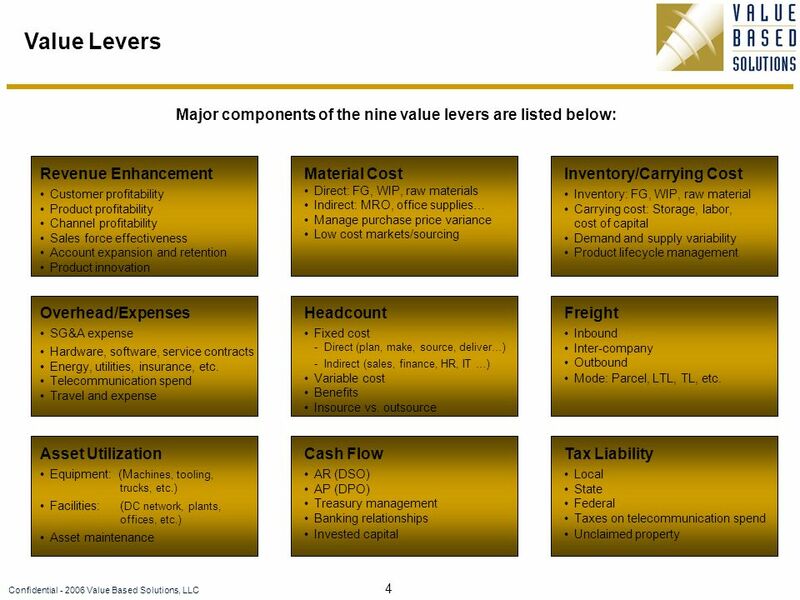 The goal is to identify areas of opportunity and map to one or more value levers. 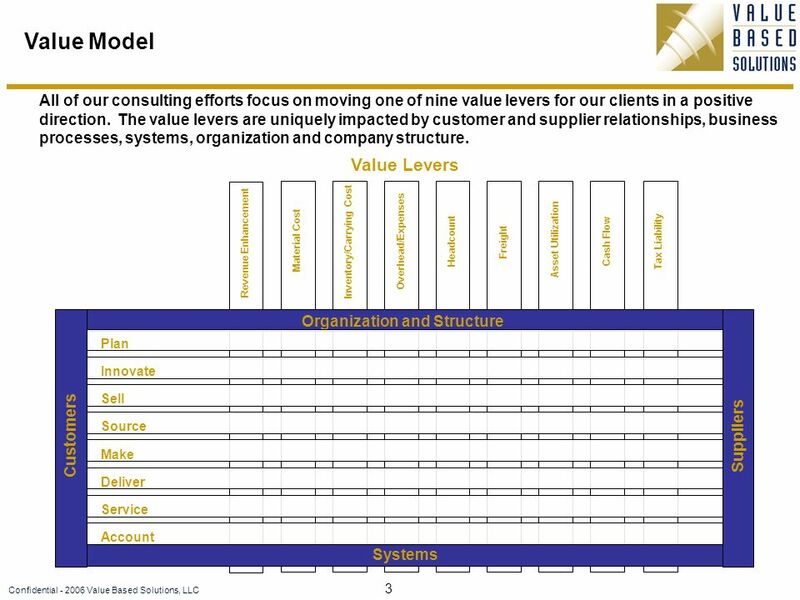 We then work with our clients to validate the business benefit, create improvement strategies and develop a plan to attain and measure the ongoing benefit. 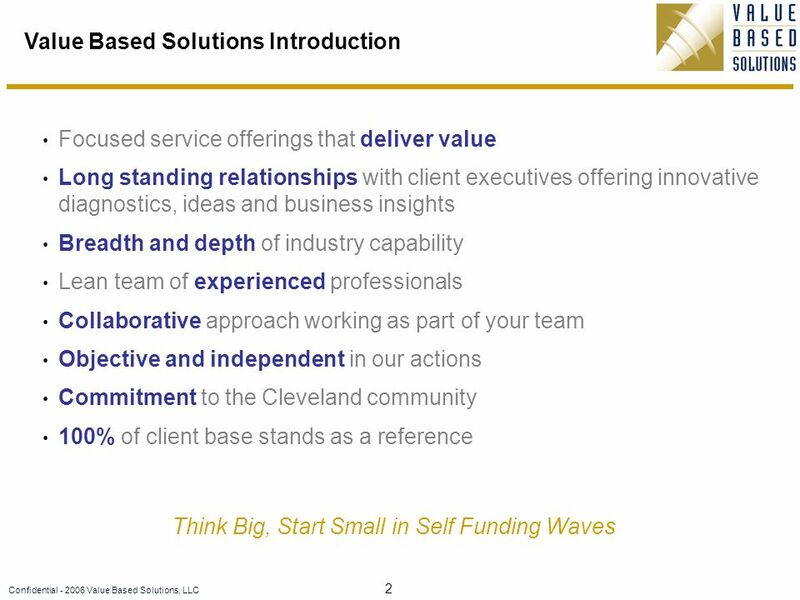 Download ppt "Think Big, Start Small in Self Funding Waves. 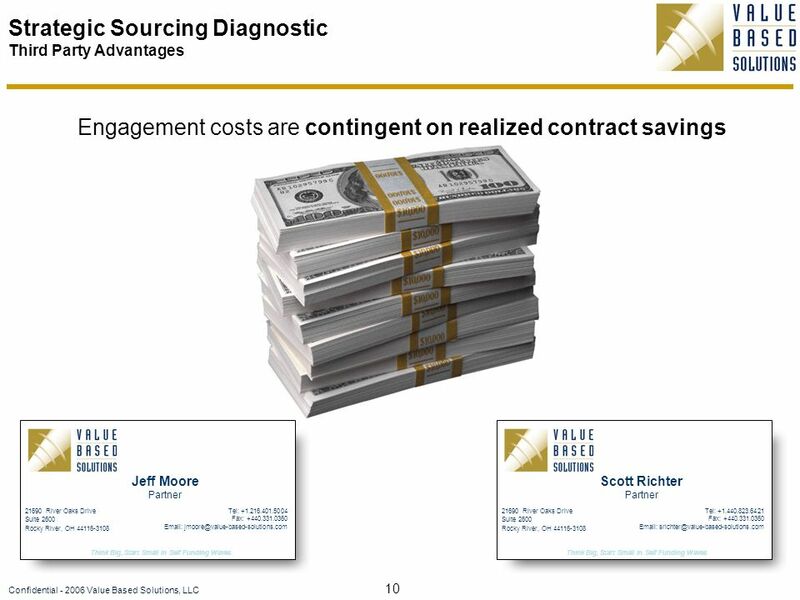 TM Energy Cost Management Overview." ©2004 Rolls-Royce plc The information in this document is the property of Rolls-Royce plc and may not be copied or communicated to a third party, or used. 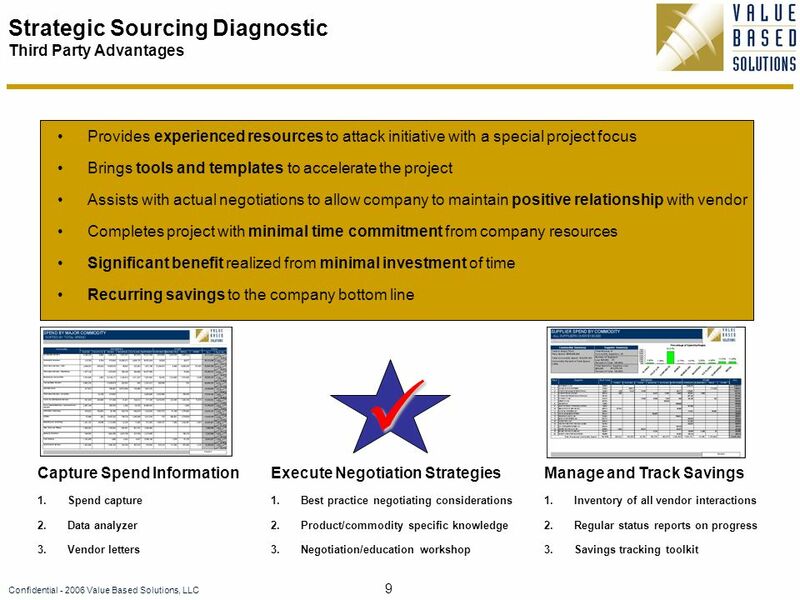 Strategic Business Solutions : Solutions, Strategies, Success The SourcingStrat Solution. 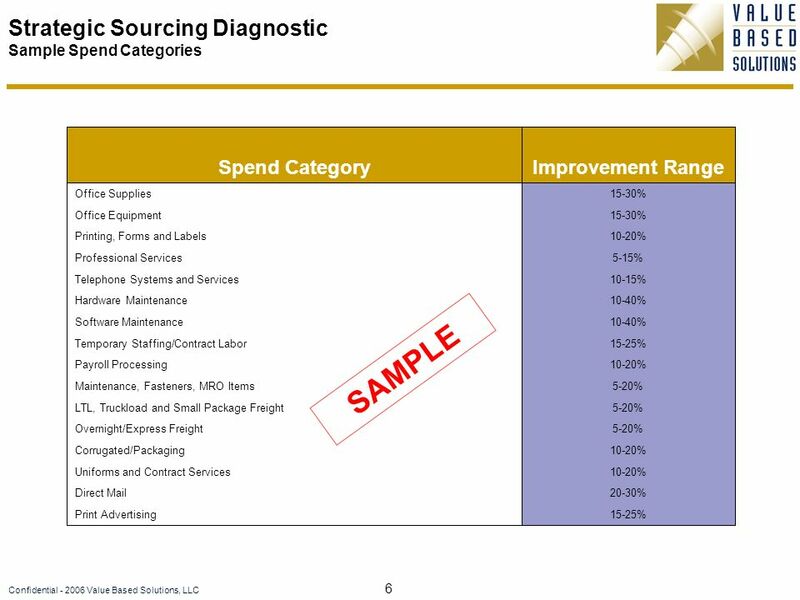 1 June 4, ACC Background  Cost reduction specialists in 35 indirect expense categories.  Gain share — Client pays only when we deliver savings. IUC Shared Services Project Commissioned by Ohio Intra-University Council Commissioned by Ohio Intra-University Council Involving all 14 four year public. 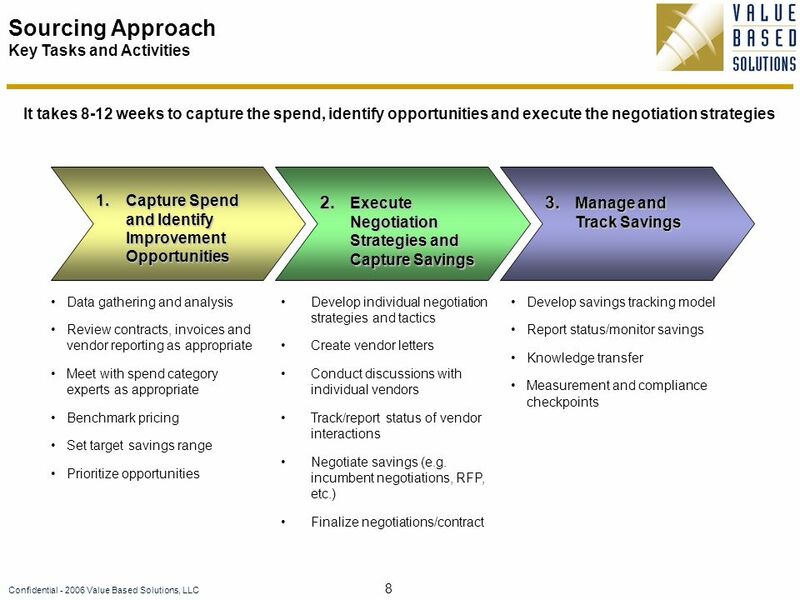 Chapter Four The Business Plan Chapter Focus Explain the importance of the business plan. 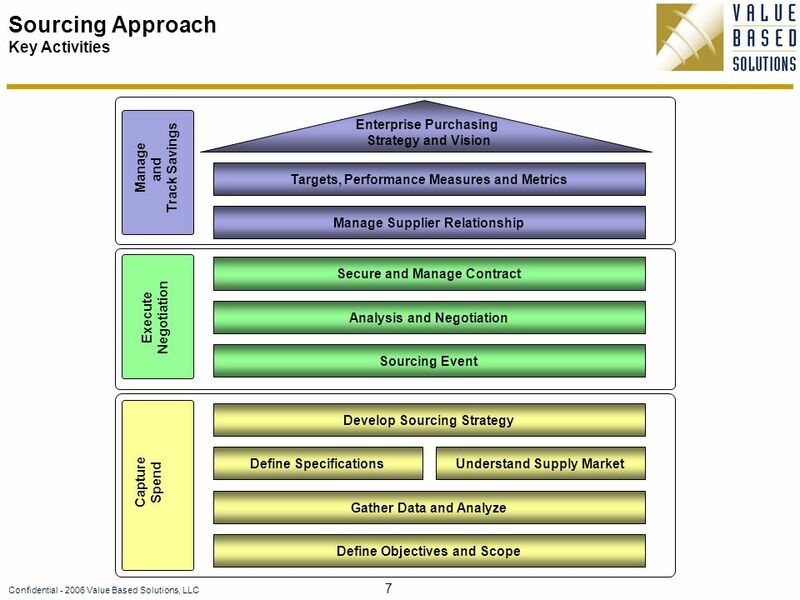 Describe the components of a business plan. Identify what not.